This last weekend, I took a hiking trip in central Nevada. Sadly, there is no escape from traffic (see photo below). "A man is answerable for not only his own trespass, but that of his cattle also: for by his negligent keeping they stray upon the land of another (and much more if he permits, or drives them on) and they there tread down his neighbor’s herbage, and spoil his corn or his trees, this is a trespass for which the owner must answer in damages. And the law gives the party injured a double remedy in this case; by permitting him to distrain the cattle thus damage-feasant, or doing damage, till the owner shall make him satisfaction; or else by leaving him to the common remedy in foro contentioso, by action. And the action that lies in either of these cases, of trespass committed upon another’s land either by a man himself or his cattle, is the action of trespass vi et armis . . .". William Blackstone, Commentaries on the Laws of England, Book 3, Ch. 12. The legal situation is very different in Nevada. 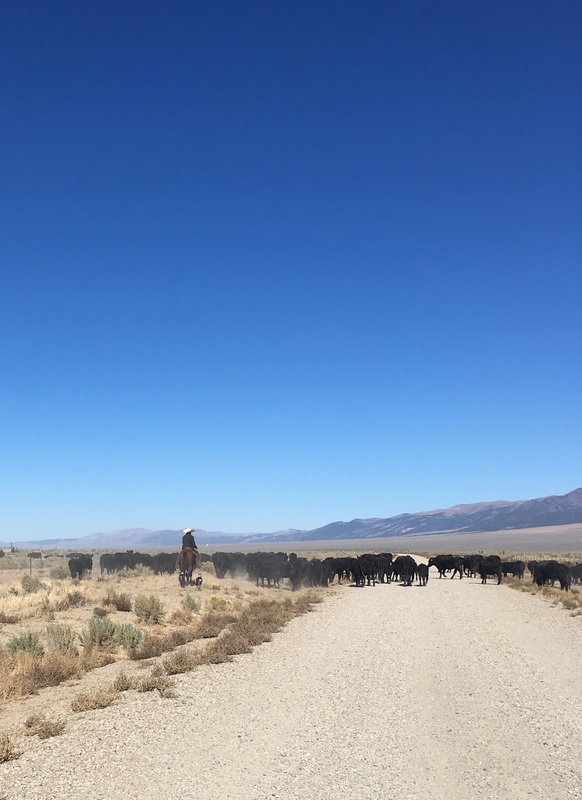 NRS 568.355 defines "open range" to mean "all unenclosed land outside of cities and towns upon which cattle, sheep or other domestic animals by custom, license, lease or permit are grazed or permitted to roam". "No person, firm or corporation owning, controlling or in possession of any domestic animal running on open range has the duty to keep the animal off any highway traversing or located on the open range, and no such person, firm or corporation is liable for damages to any property or for injury to any person caused by any collision between a motor vehicle and the animal occurring on such a highway."